Oh my. Hopefully this Olympus Micro Four Thirds digicam is a halfway good performer, because the whole Internet already wants it – including you. The official announcement will come tomorrow, but we might already have the E-P1 specs and price. We’re thinking that the kit will come with a 17mm lens, and a 14-42mm (3x) zoom lens will be available at launch. The kit price might be ¥90,000 ($917 USD) with the option of getting both lens for ¥130,000 ($1,324). 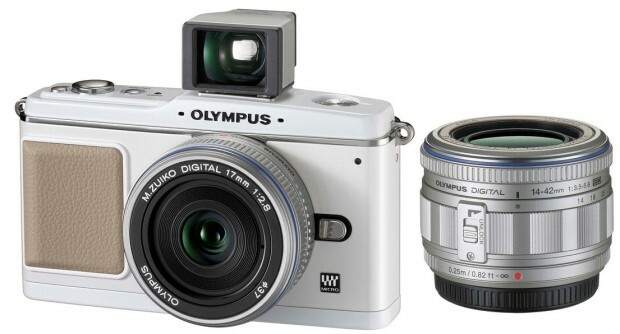 The 17mm and 14-42mm will also be available separately for ¥10,000 ($101) and ¥35,000 ($356) respectively. Hold off until tomorrow to make your final judgement about the high cost as we here in the States might get slightly different pricing rather than a direct conversion from the Japanese price. But at least this E-P1 still rocks a DSLR sensor and is still a small fraction of what a Leica costs even if is a bit higher than we were hoping.